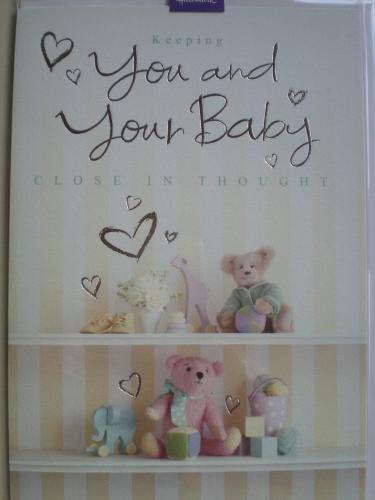 A very special card for you to send your caring thoughts. The message inside reads "Sometimes a child is born who needs a little extra care And that takes someone just like you with so much love to spare.... As you share every precious day hope it will help you through To know what caring thoughts are sent to baby and to you. Thinking of You With Love".